This comprehensive guide is for both beginning and advanced divers. 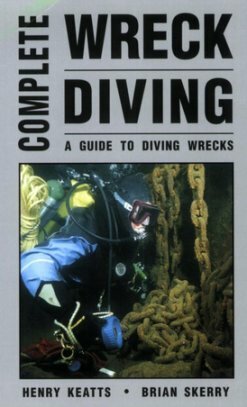 It tells how to find wrecks, details the equipment and techniques needed, explains safety concerns, and teaches how to recover artifacts and preserve them. 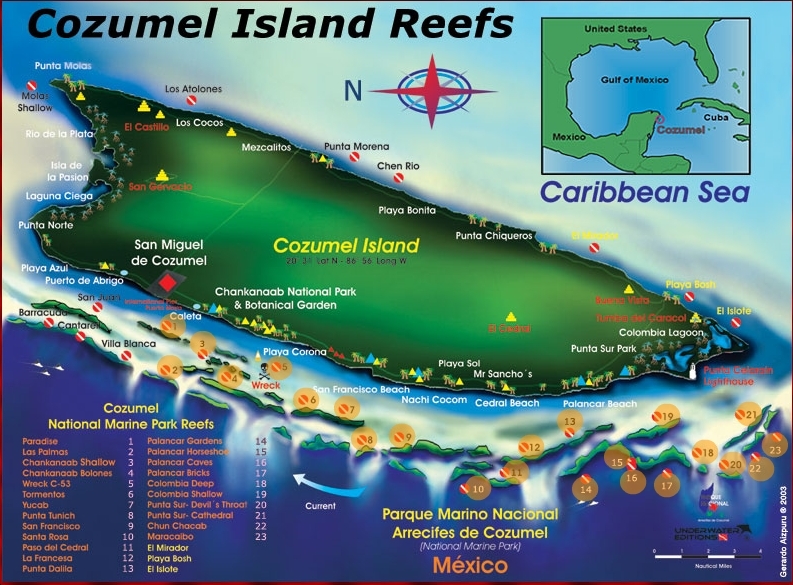 This amazing Cozumel Dive Guide features superb 3D Underwater Maps, accurate and concise Reef Descriptions, Site Profiles and Ratings, Fish and Coral Guides, Beautiful Photography, Island and Marine Park Information, a Log book, dive guide and much more - a great tool for planning your next Cozumel Dive vacation.Â Click here to see a sample map! 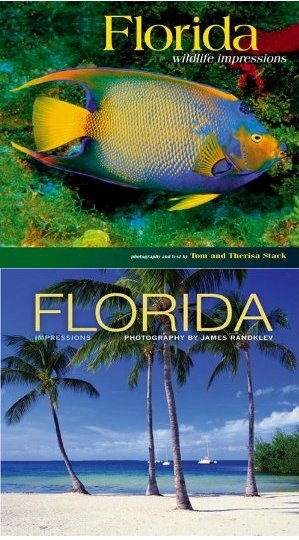 With an introduction to Florida diving and sections detailing the Panhandle, the Sun Coast, the East Coast, the Keys and Southwest Florida, nationally known ocean writer Phil Trupp provides key information for all levels of divers. Part Three of this guide traces Spain's New World shipping routes and other treasure hunts, including beachcombing. 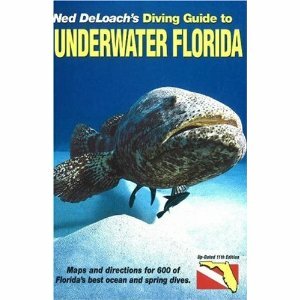 "The" guide to Florida diving for over 30 years is now in its expanded 11th edition (2004). 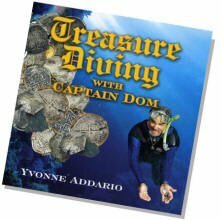 If you are planning to visit Florida to go diving or snorkeling, or even if you are a resident who wants in-depth information on local spots, this book is for you. 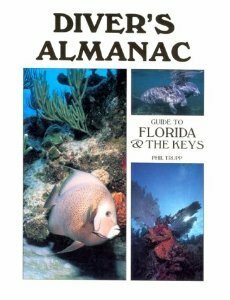 It includes Keys, spring country, Panhandle and the east and west coasts; Maps and detailed directions to over 600 superb diving locations. 354 pages. James Randklev's intense, saturated, color landscape photography captures Florida's colorsâ€”both brilliant and subtleâ€”and its many moods, historical buildings, seascapes and cityscapes. This compact trade paperback presents excellently reproduced images on high-quality glossy paper stock at an amazingly low price. Each lush spread offers rich views into the vibrant, tropical habitats of The Sunshine Stateâ€™s most unique creatures. The Stacks venture deep below the waterâ€™s surface to photograph the rare wildlife that few have an opportunity to see, such as aptly named goliath groupers, vivid parrotfish, red-tipped nudibranchs, and seahorses. They come to the surface to capture images of elusive land-dwelling creatures, from coyote pups and black bears to indigo snakes, from tricolored herons and crested caracaras to snowy egrets in their spectacular breeding plumage. 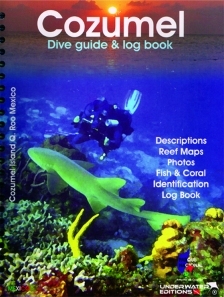 This book contains information on the top dive sites in Cozumel, insider safety tips, depth and water conditions, island dive operations and it is full of colorful photos too. We as snorkelers and divers spend a great deal of time in the water. As a result, we often are the first to see the short term and long term changes in the aquatic environment. This makes us uniquely qualified to call attention to the threats that the underwater world faces. Of course, we also have a important responsibility to protect the aquatic environment whenever we interact with it. These are some of the reasons why PADI started Project AWARE in 1989. 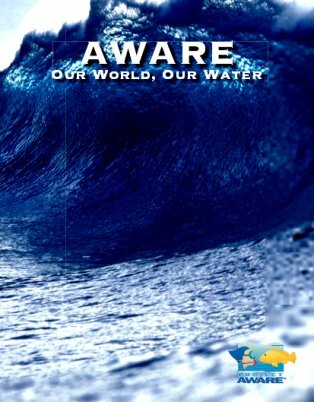 Project AWARE, which stands for Aquatic World Awareness Responsibility and Education, is designed to engage snorkelers and divers in activities such as beach cleanups, establishing marine parks and protected areas, and pushing for legislative action to protect endangered marine habitats and species.